The first of the twin sub-assembly tools (SSAT) that will be installed in the ITER Assembly Hall. For a sense of scale, note the size of the two figures on the right side of the image. 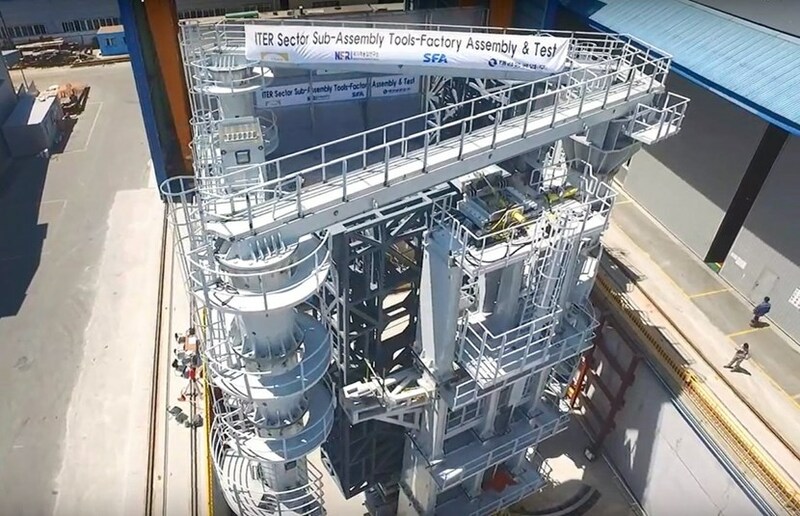 At the Taekyung Heavy Industries facility, in Changwon, Korea, a drone flies over the finalized vacuum vessel sector sub-assembly tool (SSAT), the largest tool in ITER's assembly arsenal (see article). Click here the view the video.